I have received so many compliments on my Simply Adorned jewelry. This is one of the easiest and fastest ways to make customized jewelry. 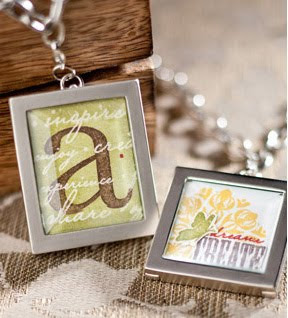 Simply Adorned charms are like lockets—they open up so you can insert your custom stamped image. The magnetized closures make it easy to change out the images. 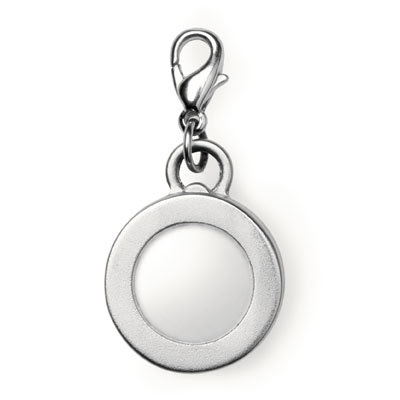 There’s tempered glass on both sides of the charm, so you can display an image on one side or both. You can create a custom heirloom piece that you’ll never want to change, or you can swap artwork in and out, depending on your mood and your wardrobe. Charms are also great for holding photos. The larger charms have beveled glass on the front and flat glass on the back. There are three sizes of charms with the beveled glass. 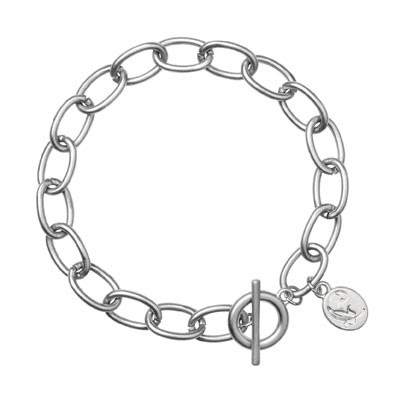 There are also two smaller charms that are perfect for charm bracelets. The chains are anodized stainless steel with a nickel-plated zinc alloy charm and toggle and come in 3 different lengths. 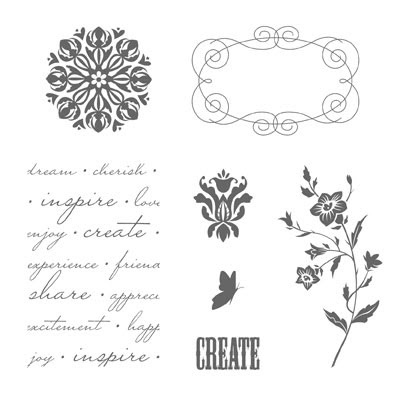 While you can use any stamp image to make inserts, here is the stamp set that Stampin' Up! first featured with this jewelry line. Here is my first Simply Adorned design. I converted the 5/8" square charms into earrings. Please contact me if you would like more information about Stampin' Up! 's exclusive line of charms and chains. great charm inserts! What did you use for the butterflies? Is it metal? The butterflies are metal. With the Beautiful Wings Embosslit, you can emboss and cut the metal at the same time. If you'll pm me at sharon@sharoncheng.com, I'll send you the source for the colored metal. 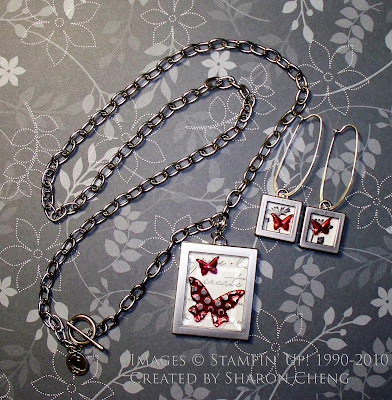 After you emboss, you can lightly sand the butterflies to get the silver accents.